30 days w/15% Restocking Fee & $20 Partial Shipping Reimbursement. Free Shipping for Online Orders ONLY . We Have been selling the RPDLB for 99 Cents ($99 a box of 100) for over 10 years. We are sad to say that it has finally come to an end. We must raise the price 10 cents a book. Keep in mind that the JJ Keller book is a higher quality logbook. 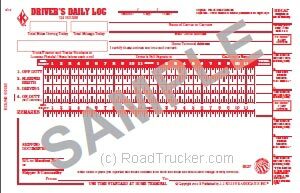 JJ Keller’s Duplicate Driver's Daily Logbooks, DDL, fulfill the requirements of FMCSR section 395.8, Driver's Record of Duty Status. 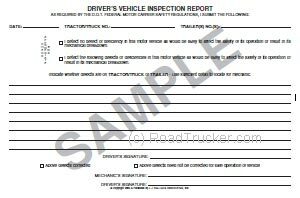 In addition, the back of each DDL form contains a Simplified Vehicle Inspection Report. Every driver who operates a commercial motor vehicle shall record his/her duty status, in duplicate, for each 24-hour period. 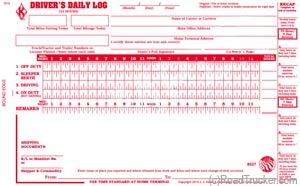 The duty status time shall be recorded on a specified grid, as shown in paragraph (g). Source: DOT FMCSA. Get 4 of your buddies to kick in $25 bucks and you all have 2 years of logbooks plus an extra one each for less than 1 years worth.